A more angular model, the “Canterbury” was on offer simultaneous to the Salisbury. 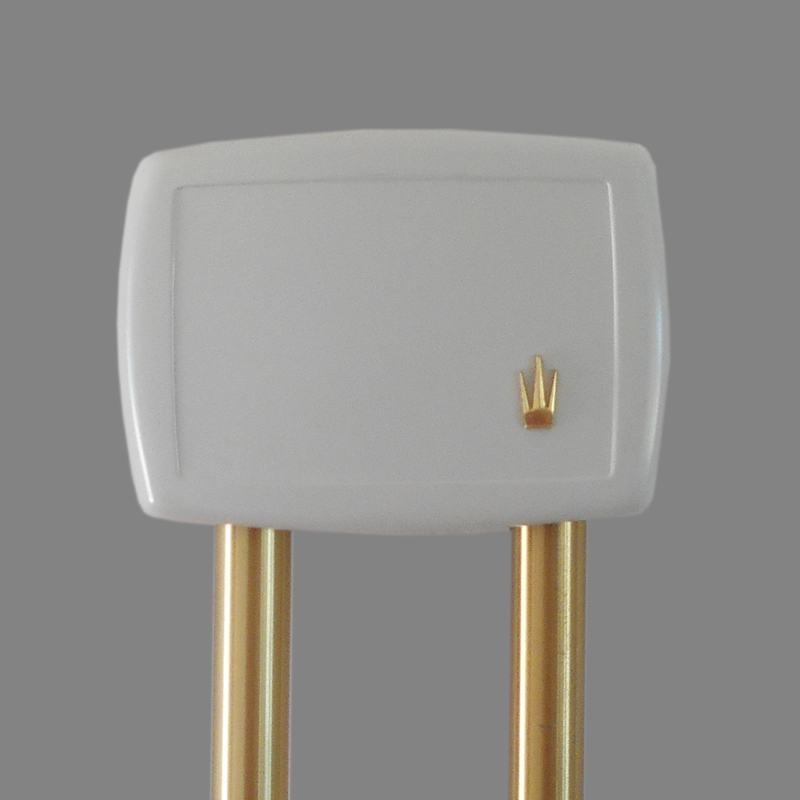 On close examination, the placement of the shorter tube on the left side and the longer on the right varies from virtually all other long-bell door chimes where the shorter tube is on the right side. 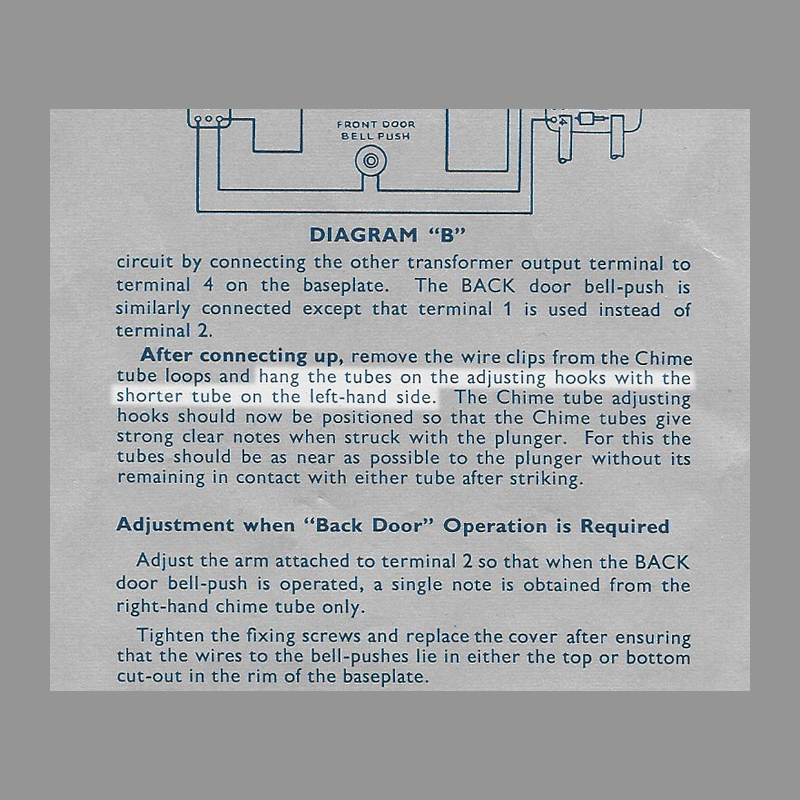 The instructions included with this example clearly direct the shorter tube be installed on the left side yet the catalog curiously shows the opposite orientation. 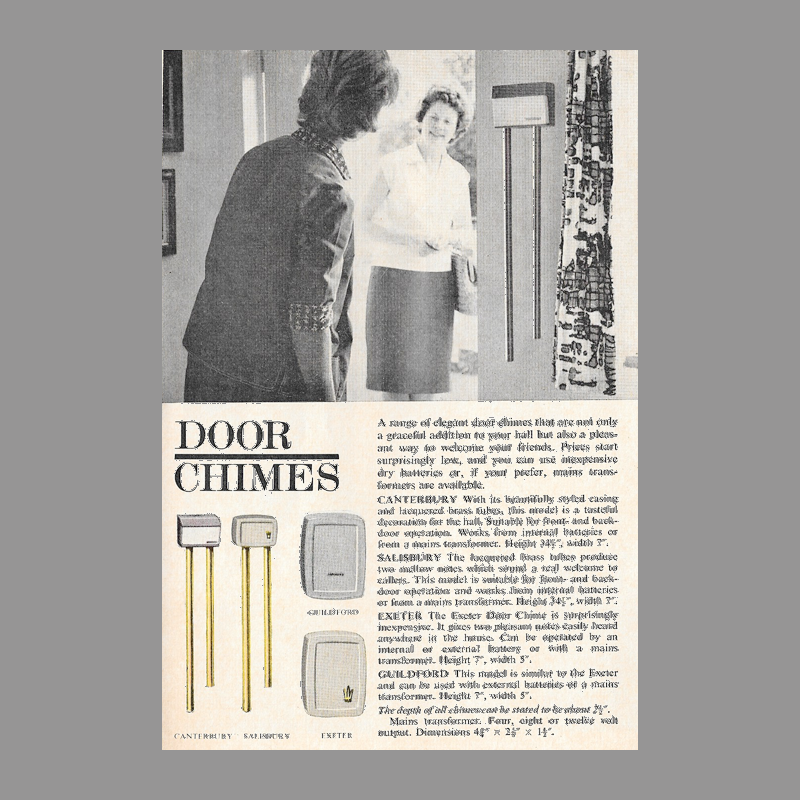 If the longer tube were on the left as depicted in the catalog, the chime would produce a “dong-ding” sound instead of the expected “ding-dong”. The marketing depiction may be due to an error on the part of the catalog’s art director or evidence this particular Salisbury is an earlier or later production model than those offered in 1964. 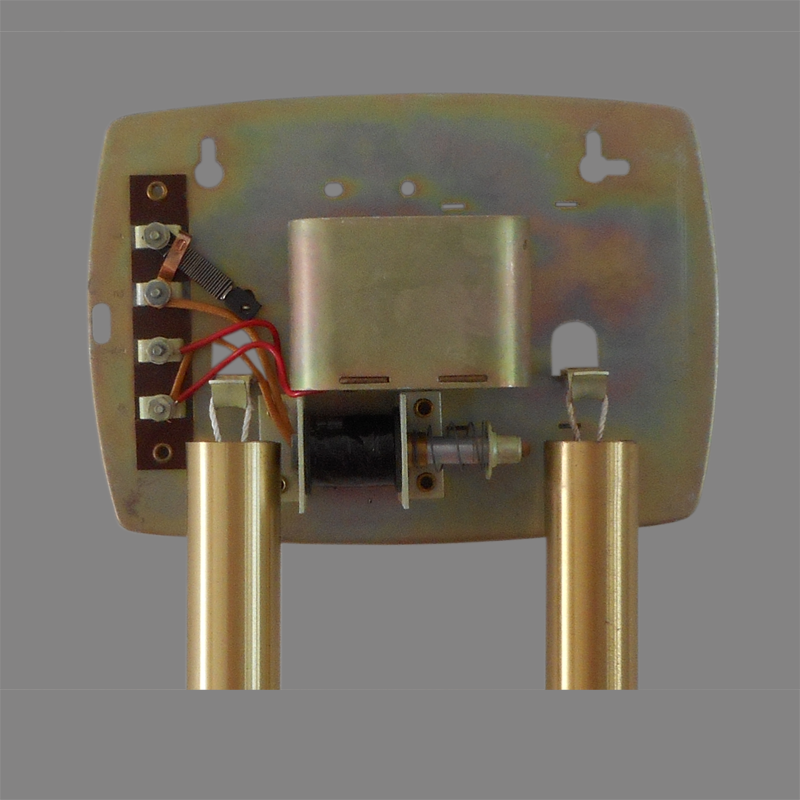 Your Chime may be used with either two 4 1/2 volt flash-lamp batteries (we recommend Ray-O-Vac 15LP)… For Battery Operation: Bend the long brass strip on one battery and the short brass strip on the other back along the curved sides and insert the batteries upside-down in the compartment on the baseplate. Today, a Ray-O-Vac 15LP battery would be next to impossible to find. As near as I can tell, two IEC 3LR-12 (alkaline) or IEC 3R12 (carbon-zinc) batteries will fit, although these too will be difficult to obtain. This Salisbury can be accurately dated to the 1960s as Morphy-Richards manufacturing ceased in Kent in 1970.